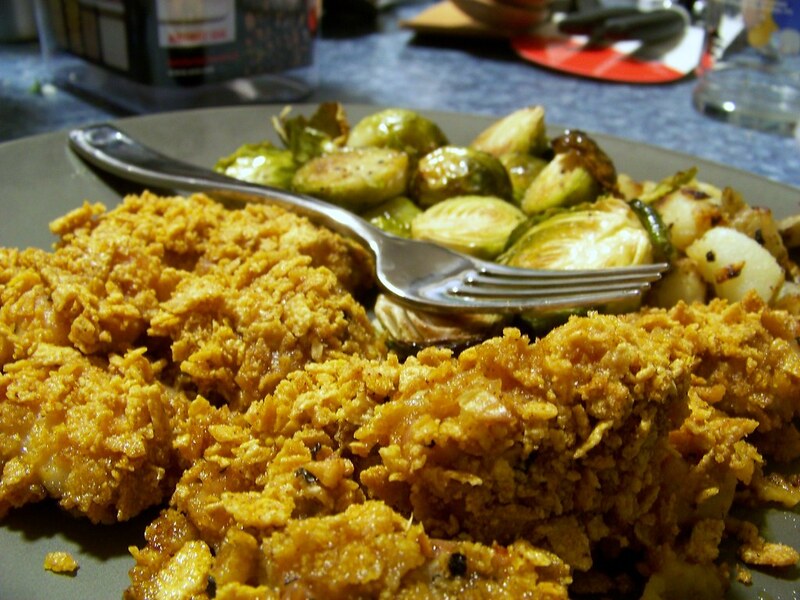 When Kelly and I lived together, we used to make what we called cornflake chicken. Or really, I would make it. Since Kelly and I moved apart, she's started making it and I've stopped making it because it's sooo unhealthy. Tonight we made it for dinner, and it's so delicious. I wouldn't recommend eating it often, but once in a while it's great. The butter makes the chicken tender and moist and garlicky and oh so delicious. Preheat oven to 350. Melt the butter with the garlic, pepper, salt and paprika. Put the cornflakes in a bowl. 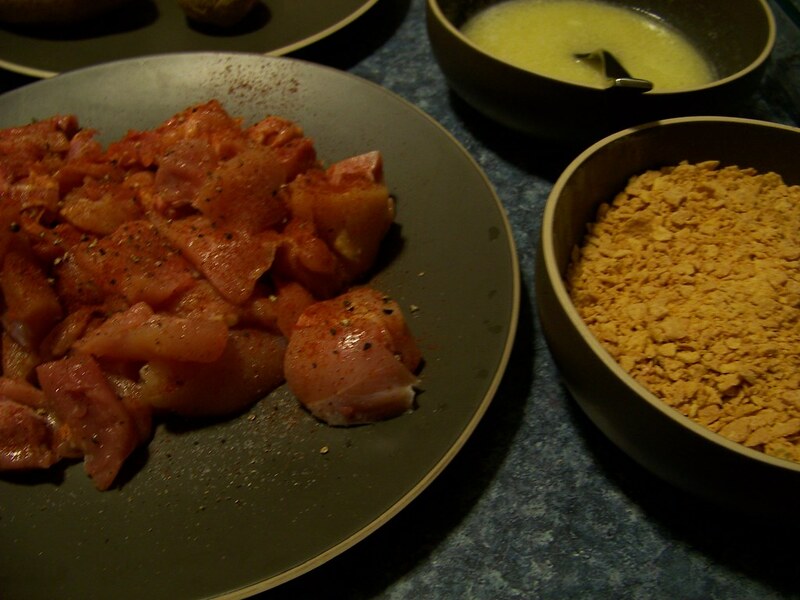 Rub the chicken, piece by piece, into the butter and then coat with the cornflakes. Repeat with all the chicken, crowding into a medium size glass roaster pan. Once all the chicken is coated, sprinkle with whatever butter is leftover, and bake for about 30 minutes, until the chicken is done. 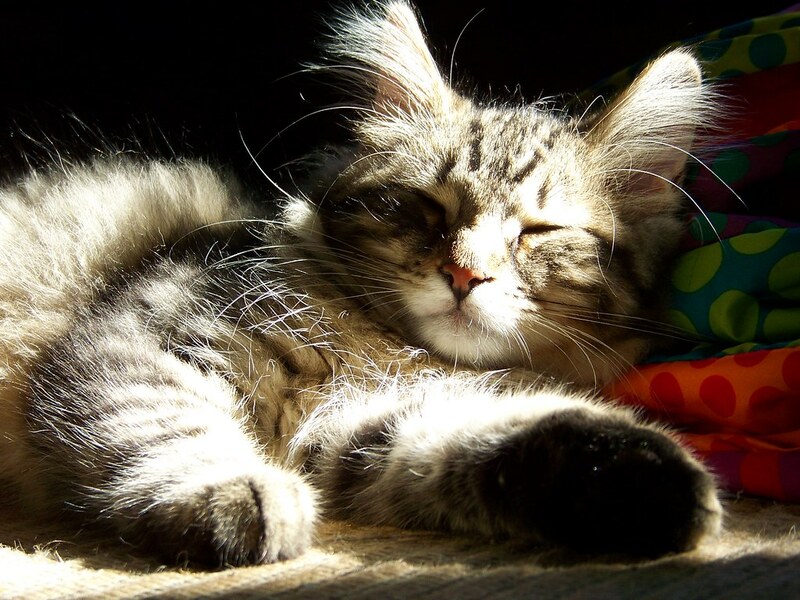 Heres another picture of my kitty friend. I am def making this!!! !